Do you have a science nut in your house? I have one kid that loves doing experiments in his spare time. He will spend an entire Saturday reading science books and creating! I was happy to share two Go Science DVDs from Library and Educational Services with him! Let me tell you a little about Library and Educational Services. They are a wholesale company that has been in business for 35 years. Family operated they sell primarily to libraries, teachers, schools (homeschool and conventional),churches, resellers, specialty stores, missionaries, day care and ministry leaders. They have a wide variety of items including DVDs, CDs, books and more at 30-70% off! There are seven volumes in this series. Ben Roy is the host and he has a long list of credentials that includes: teaching science at the University of Tennessee at Chattanooga and being the former director of Channel 9 Science Theater. In addition to those he also produced science lessons for the Weather Channel, About.com, and a Christian satellite broadcasting network. Mr. Roy demonstrates experiments with the help of children in the audience. The DVDs are broken up into segments featuring one experiment. At the end there is always mention of how science points to our Creator! For these DVDs I had my 12 and 13 year old boys sit down and watch with me. I picked Volume 6: Chemistry and Volume 7: Engineering, Design, Flight because I thought those would be fun to watch. We will be doing a chemistry science curriculum in the fall and I thought that that volume would be a great companion to our studies. With seven available volumes I think everyone could find a volume that would tie into their current studies or perhaps just interest led like Volume 7 is for us. Volume 6: Chemistry 1, Chemistry 2 was by far our favorite of the two. The experiments were exciting. They made a lava lamp, exploded bubbles and explained how diapers absorb water - to name a few experiments. Volume 7: Engineering, Design, Flight was a little less exciting but had very interesting experiments as well. They balanced nails on one another, worked with the center of gravity with building block and worked with several rockets. We've tried doing rockets at home before and had little luck so this was nice to be able to see what would happen. A few things I really liked about these DVDs is being able to see the experiments work In the past we've tried many things at home and never really had the results we were supposed to see. It is frustrating as a home educator to see your kid's disappointment when their rockets don't take off. Having a video is a easy way to see the success! Another plus is not having to invest in the materials for every experiment. Expenses can add up quickly when you have a kid that loves science. The cost of the DVD is minimal compared to the supplies required. There will also be no mess! Yay! A lot of experiments are messy! For example during Volume 6 they explode a 2 liter of soda! It shoots way up in the air - more than I would have thought! I'm glad we saw it first so we didn't explode that one inside our kitchen! The segments are short on each DVD which means you could watch consecutively like we did or just skim through the experiments for the ones that coincide with what you are learning. I love how Mr. Roy gives lessons about our Creator through out the segments. This is definitely creation science. He often says, "Whenever we study about science we learn more about our creator God." I love that because we want to learn about our Creator and we want science to reflect that for our kids! The only negative is that I wish there was a supply list in case you would like to do these experiments at home. 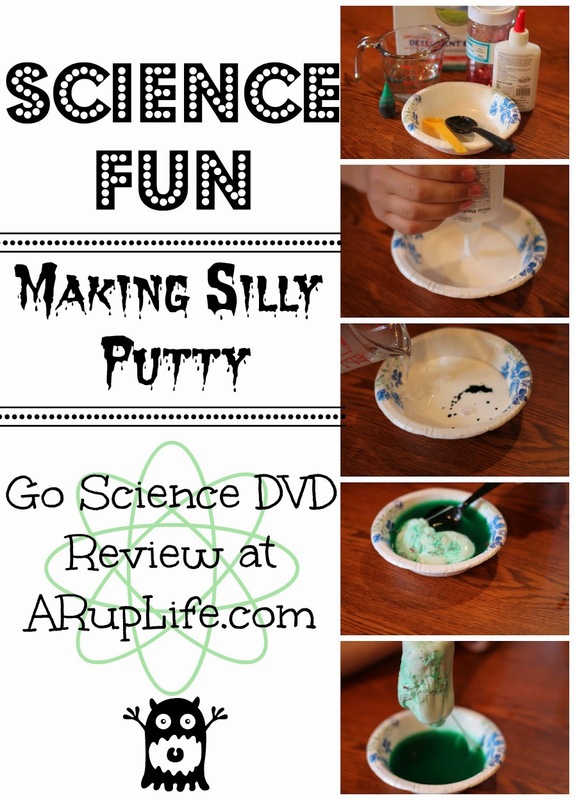 One of the experiments was making silly putty and a quick google search gave me the increments of ingredients I needed to do that one at home. It would have been easier if a sheet came with or you were given a link to go online and print. Not a huge deal because many of the experiments you wouldn't want to do at home because of mess or costly supplies. Don't forget to visit Library and Educational Services on Facebook for additional information and products!